Non-Kinking：The internal helical wire structure helps prevent kinking. Multi-Ply Acid Discharge Hose：Designed to handle most of common acids and alkali solutions under pressure. 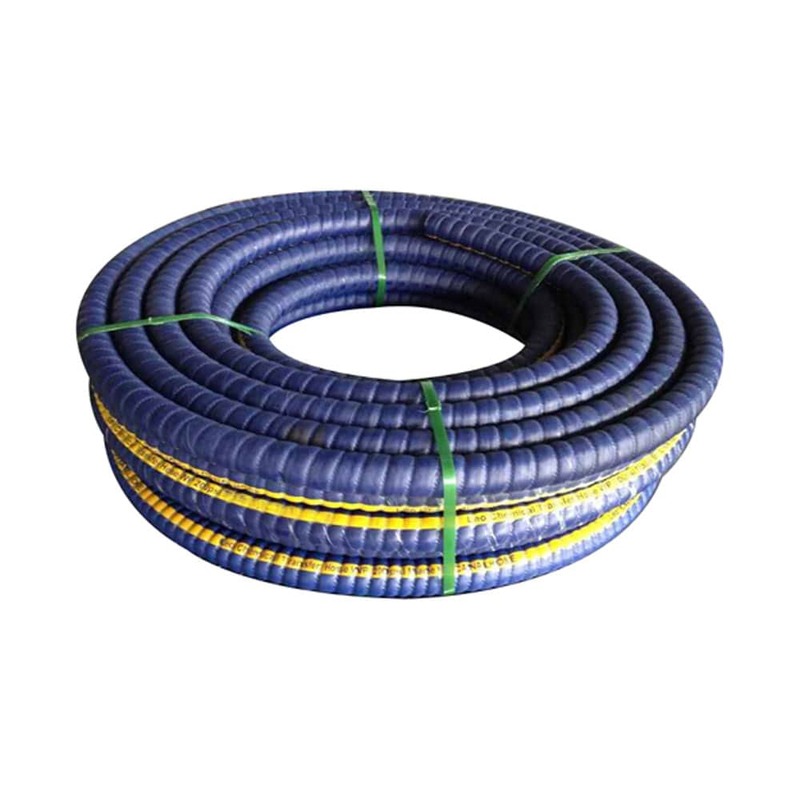 Multi-Ply Acid Suction Hose：This hose features a high-tensile textile cord with wire helix to prevent collapse under vacuum conditions. 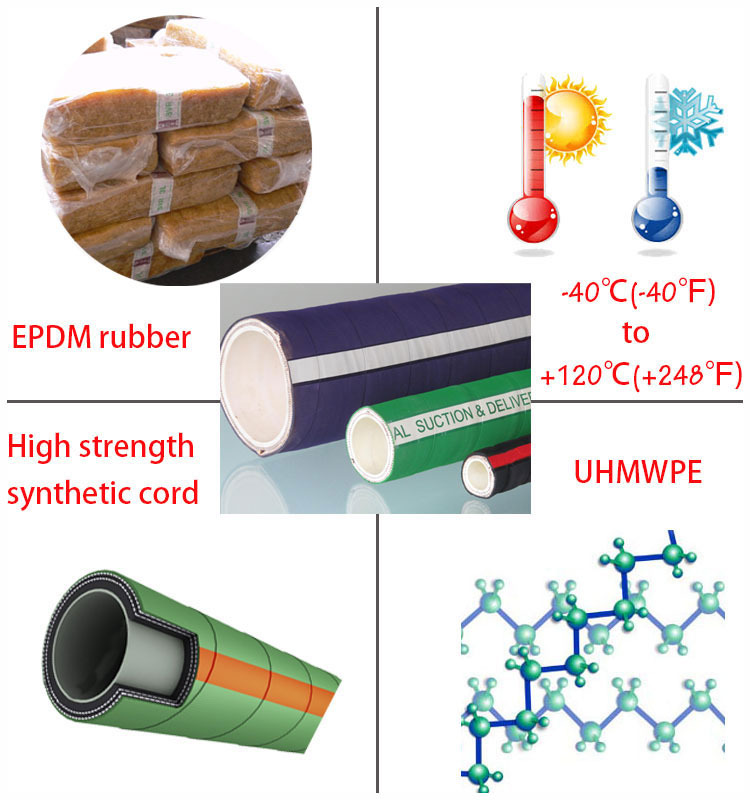 Reinforcement layer:synthetic high tensile textile with helix steel wire,static ground. 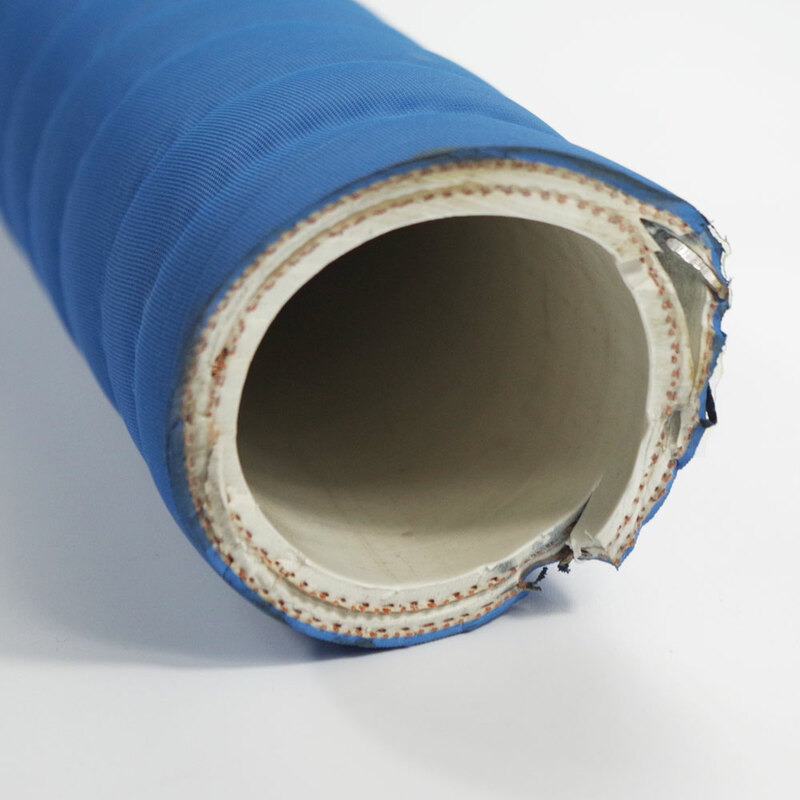 Material:Good quality materials make our hose steady performance. 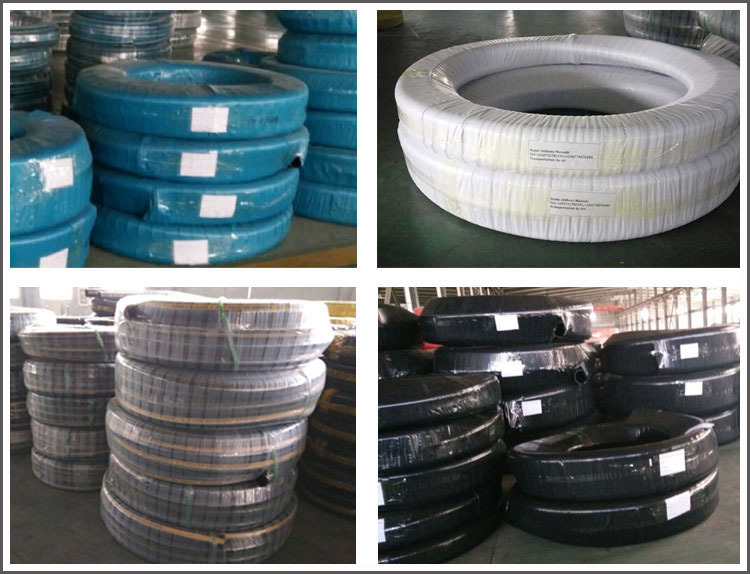 Production:Advanced technology and equipment to make the best quality chemical hose. 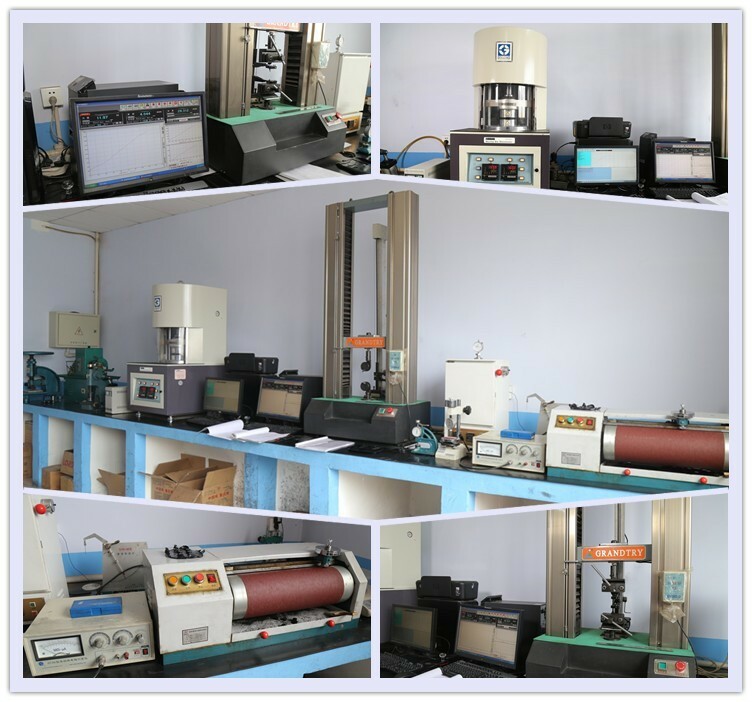 Our factory has strong quality control team, we set up advanced laboratory. 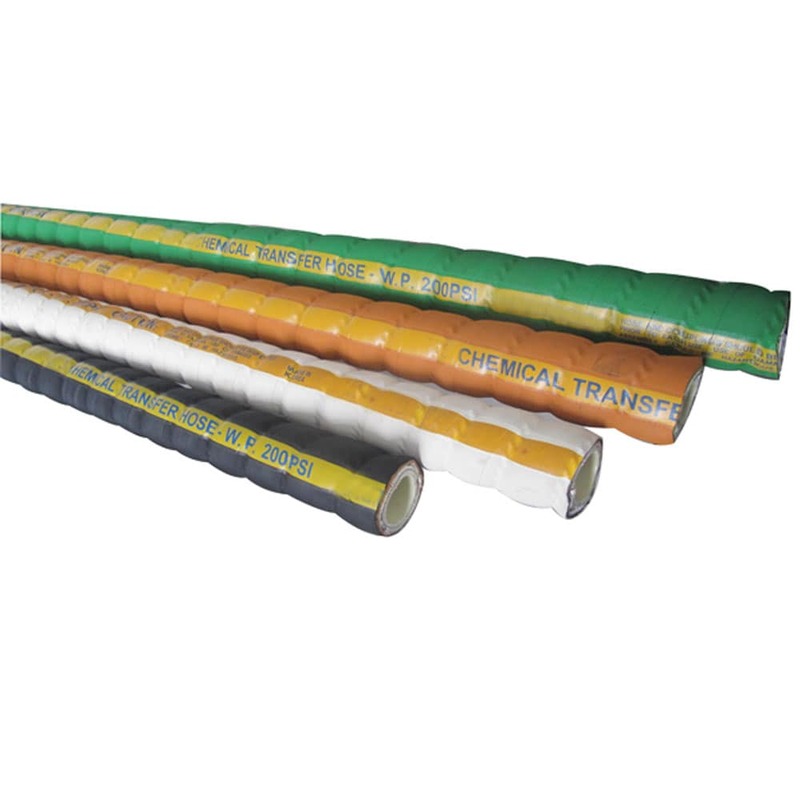 Packaging:After finishing the chemical hose production, we will pack the hose. including the United States, Britain, Brazil, Russia and so on. 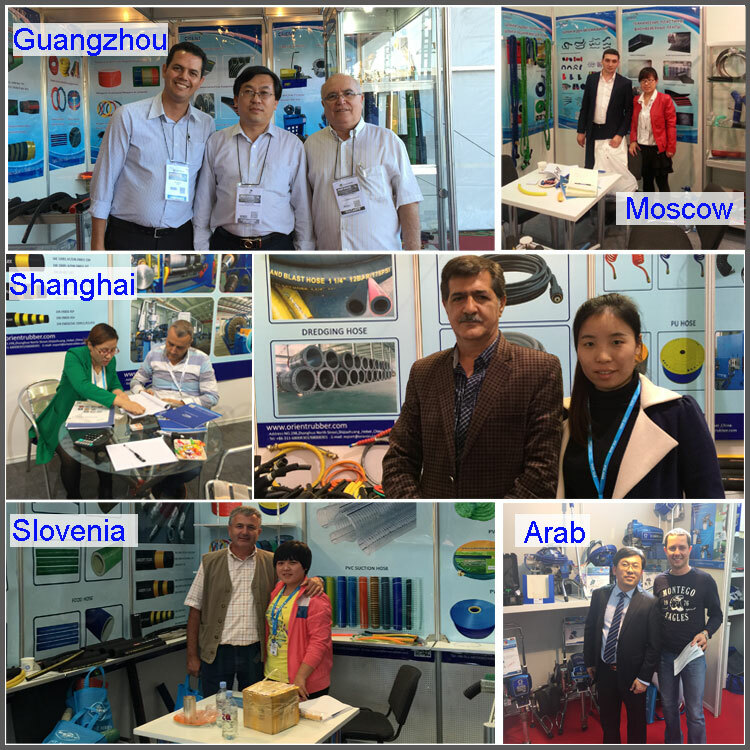 Trade shows: we participate in overseas exhibitions every year. Orientflex founded in 2006, set up advanced laboratory, is committed continuously improve production technology,the development of new formula, improve production efficency and product quality. Orient flex imported most advanced industrial hose production line from Italy,13 braiding machine are automatically computer controlled, large diameter dredging hose production line are designed by Italian engineers. Strong quality control team,advanced laboratory,test each batch of material, strict production process control for each working prodedure,100% full inspection before delivery of finished products. to provide 100% quality products for customers. Russian,Spanish,Japanese, with more than 10 years experience,export to more than 50 countries, we know your market demand very well,we can provide products suitable for your market,we can help you to make money.